At the heart of the Palace, the State Rooms are used for ceremonial occasions and entertaining and are furnished with many treasures from the Royal Collection. 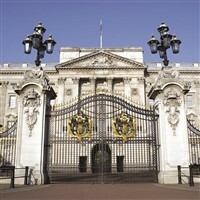 To celebrate the 200th anniversary of Queen Victorias birth, the 2019 special exhibition, Queen Victorias Palace, will tell the story of how the young queen transformed Buckingham Palace from a private house into a working royal residence. Together with Prince Albert, she made Buckingham Palace a rallying point for the nation, a powerful symbol of the British Monarchy, and a family home for their nine children.